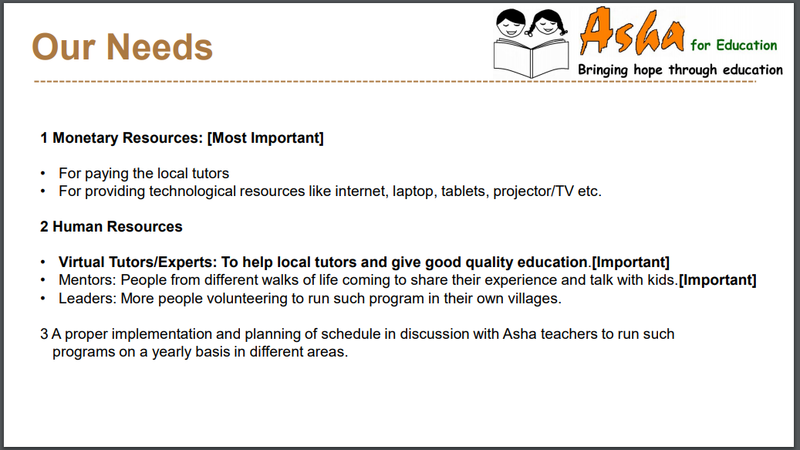 Project Brief: The main focus of the project is to improve and support the urban underprivileged children to get educated. 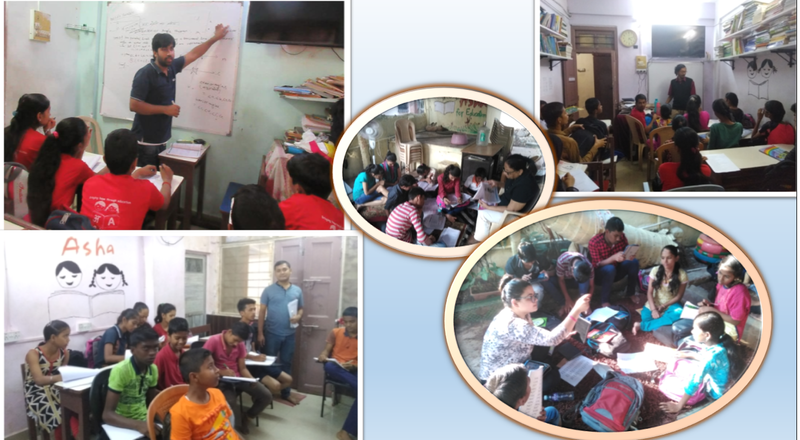 We also motivate them to pursue and help them actualize the inner potentials. We work to instill in them the humane and compassionate behavior. They are being made aware about propagating the the concept of giving back. Primary Focus: Children from slums. Secondary Focus: Encouraging girls to pursue higher education. Area: Urban Supporting Chapter Contact: Central Team. 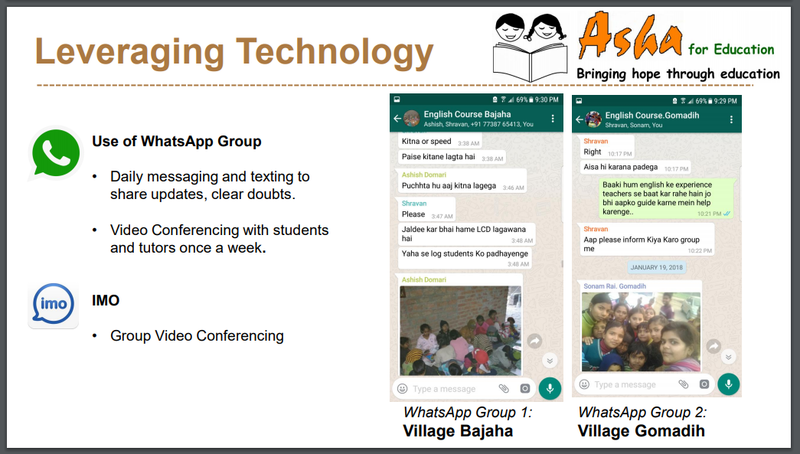 Project Brief: This is a new venture launched by Stanford, Georgia Tech, and IIT-B alumni and supported by Asha Mumbai and Stanford University. Our goal is to provide a makerspace to underprivileged students in Powai. 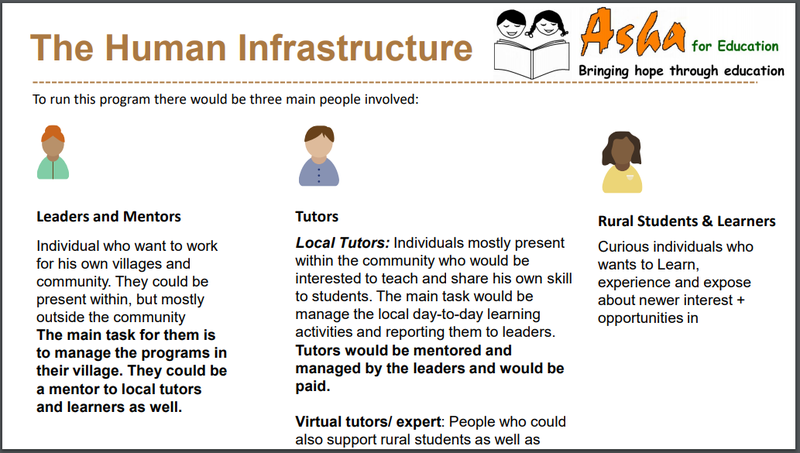 Project Brief: The concept behind this program is to reach out to your own village and support the education of underprivileged children there. 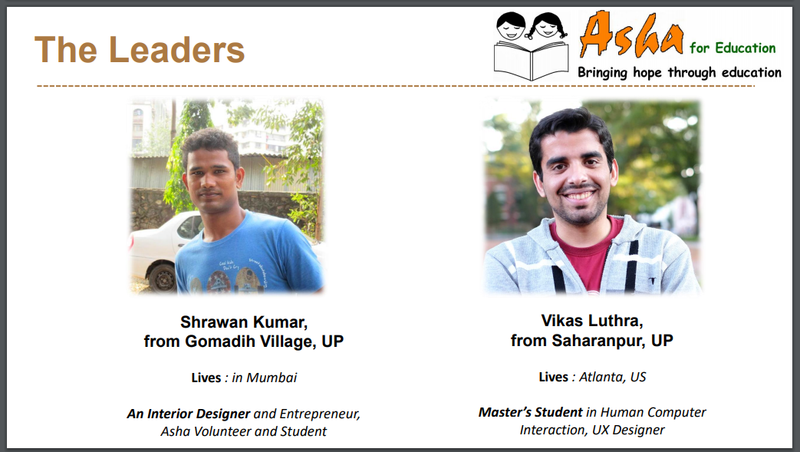 Shrawan, an Asha Mumbai student, established his private business after completing his diploma in interior designing from Mumbai University , with the Asha Mumbai Centre. 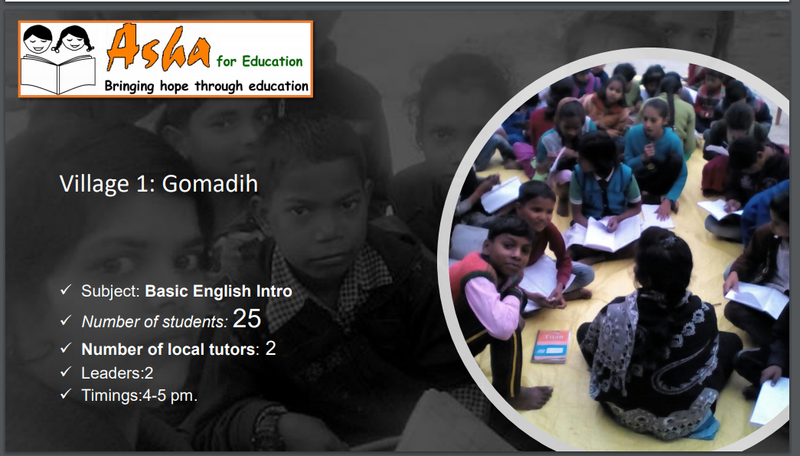 He now observed that the children in his native village in Azamgarh UP (Bajaha & Gomadih) are deprived of basic education. So, he felt an urgent need for doing something in this regard. When he visited that village, he found that there are government schools nearby but it’s not at all equipped to conduct the class. There was no teacher. Here, children were found loitering here and there in school premises. A thought came to Shrawan’s mind, why not he start something like Asha there. 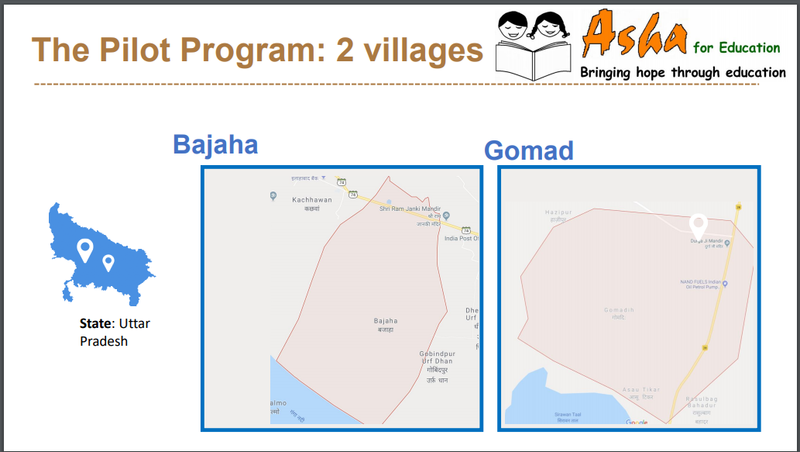 And he started locating the teachers and made two batches of students, gave them one tab each and support and started the program. 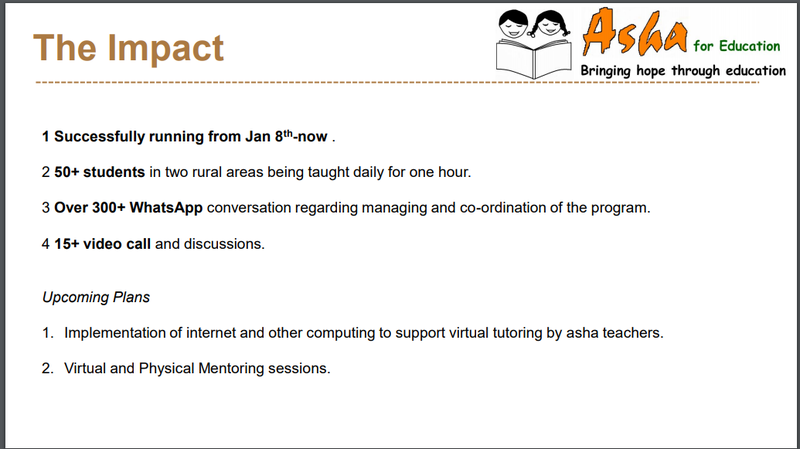 Asha Mumbai proposes to help this project. 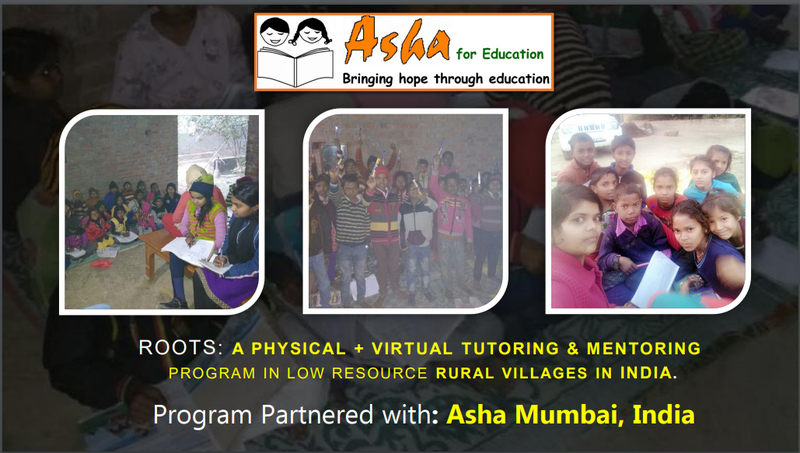 Asha Mumbai is supporting the Project Damini Darubandi Abhiyan based in Beed district . The forerunners of the project are M/ s Satyabhama’ Saundermal and Krishna Dake. Satyabhama’ Saundermal is doing a great job of stopping the illegal sale and manufacturing of Country liquor in Beed district. Her team raids the illegal liquor producers and takes the help of police to shut down their activities. She also organises women to come forward and fight against the menace. Along with this she also helps the children affected by addictions alcoholism of their fathers and support s thank in education. Satyabhama’ has received the award from the Maharashtra Foundation , an organization in US of Maharashtrians who support the progressive work in Maharashtra.